Many customers often ask,”how do you build such a great house at such a great price?” Well, here is one of the reasons. We buy all of our materials in bulk and then we package them at our warehouse in Vancouver, Wa. 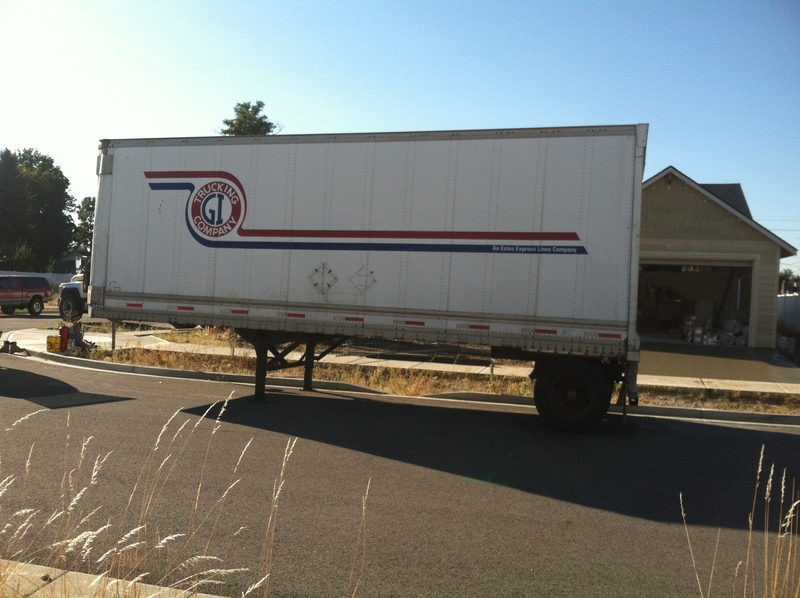 Then we ship the materials to the jobsite in a trailer just like the one you see here. Now that the sheetrock is complete, it’s time to paint the house. 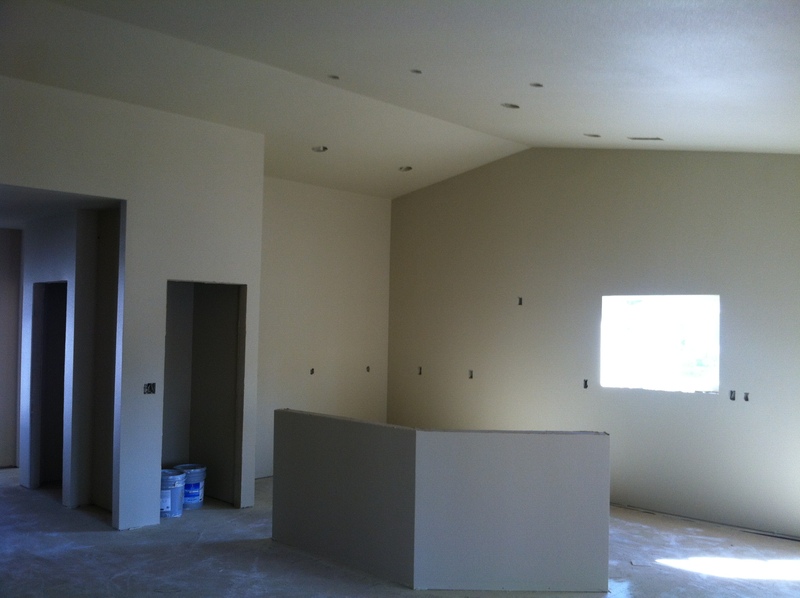 We stop the construction at this point to make sure that you can paint without having to worry about getting paint on any of the flooring, cabinets, etc. 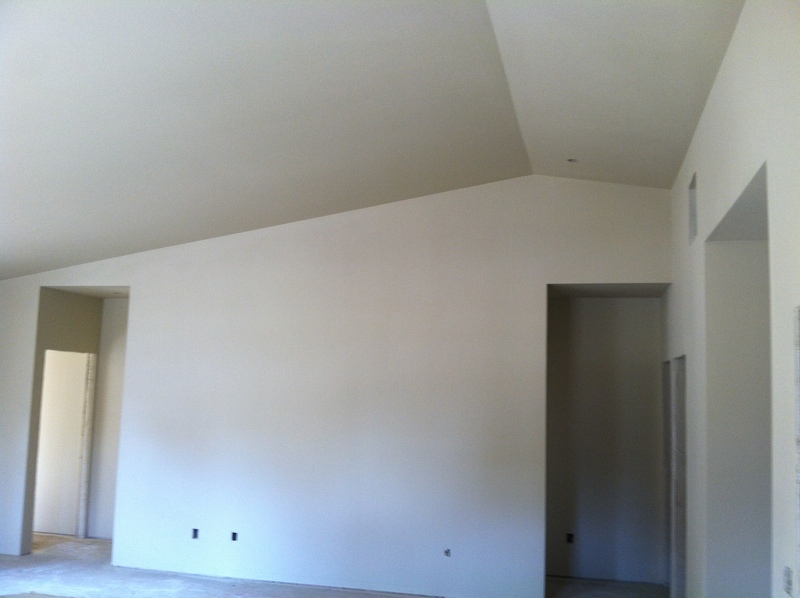 Now the sheetrock gets the seams sealed and a layer of texture is applied to give it a finished look. 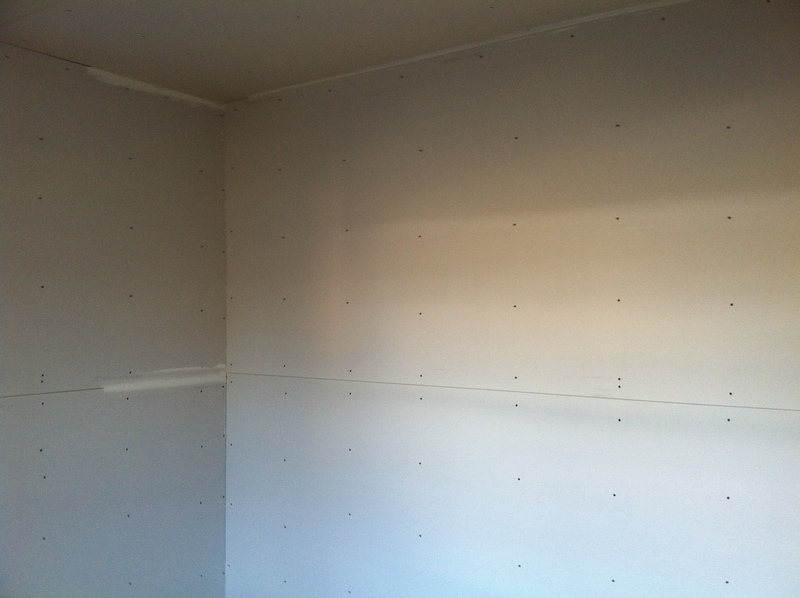 Now that the insulation is in, we can sheetrock the walls. 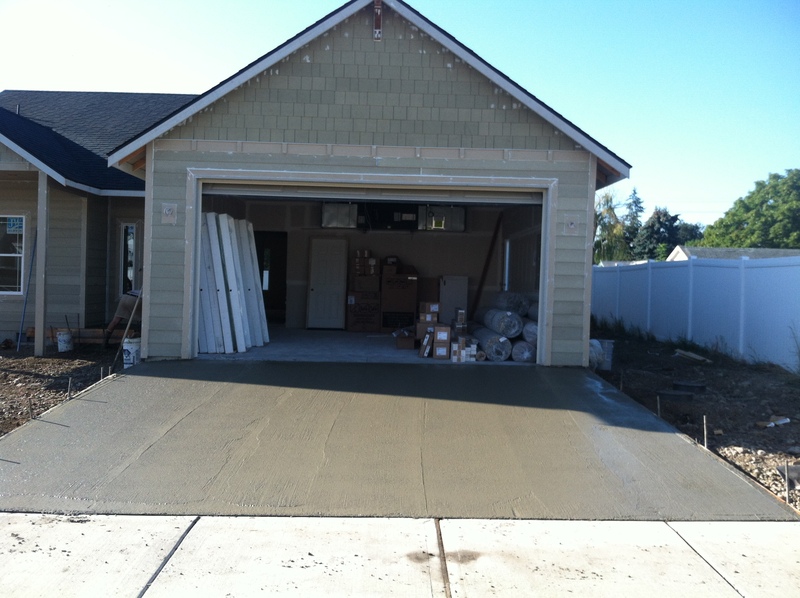 This is the point of the project that you can really feel the home start to take shape. 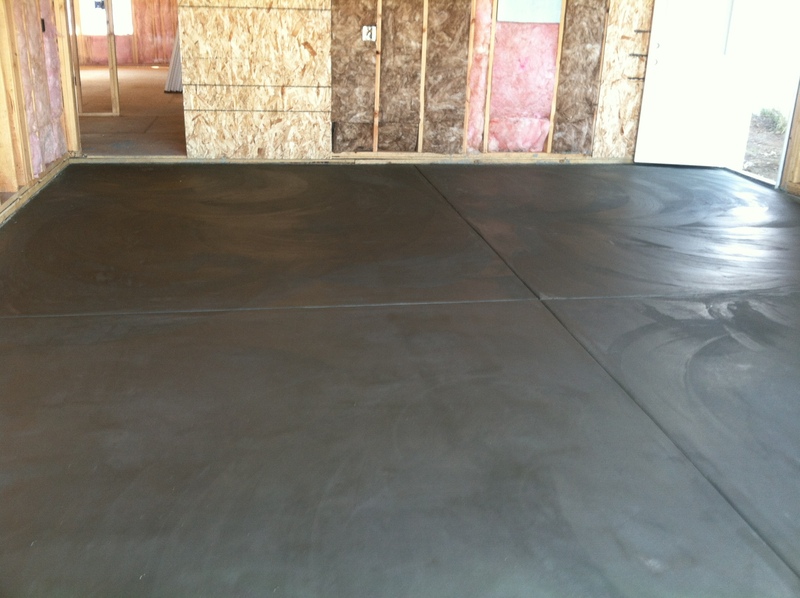 Time to finish the garage floor. In this picture you can see the expansion joints. Those are the lines in the concrete that make it look like a big four-square court. The expansion joints help to take pressure of the concrete when it expands and contracts so that you don’t get cracks in the garage floor. Now that the systems(plumbing, electrical and HVAC) have been installed it’s time to insulate the house. We use R-49 in the ceiling, R-38 in the floor and R-21 in the exterior walls. In this picture you can see the walls(pink), the ceiling(brown) and you can also the foam board insulation(grey) above the windows. 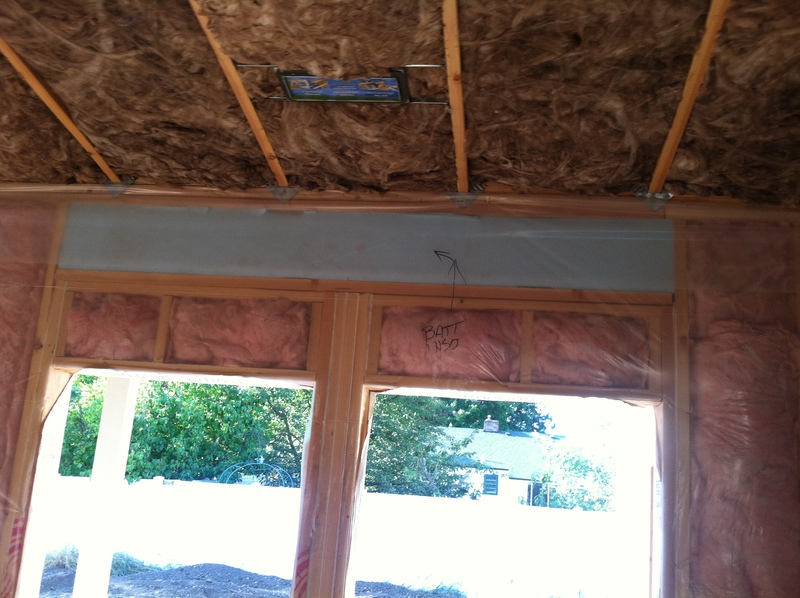 You can also see the plastic wrap that we put over the wall insulation to help prevent air leakage around the insulation. 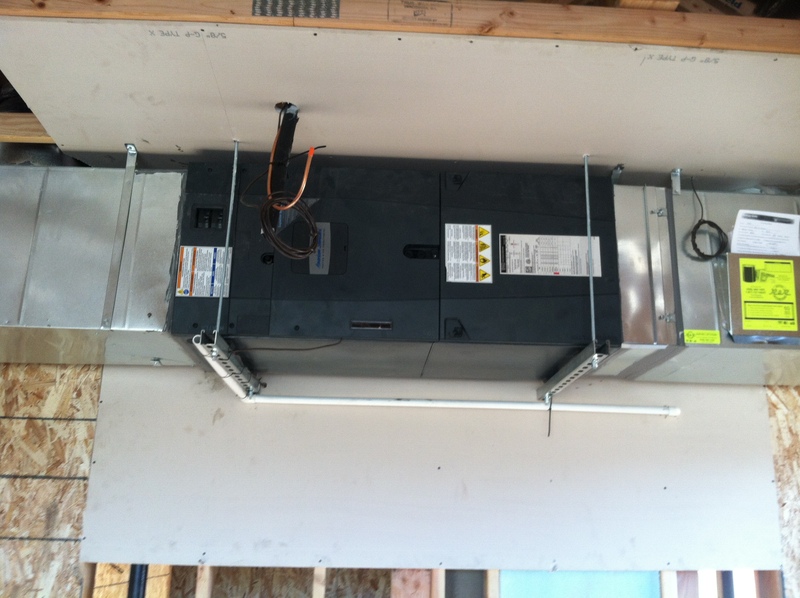 If you’ve chosen to have HVAC in your home rather than zone heating, this is what you’ll see. We hang the furnace from the ceiling in the garage. We do this so you don’t give up valuable parking space. 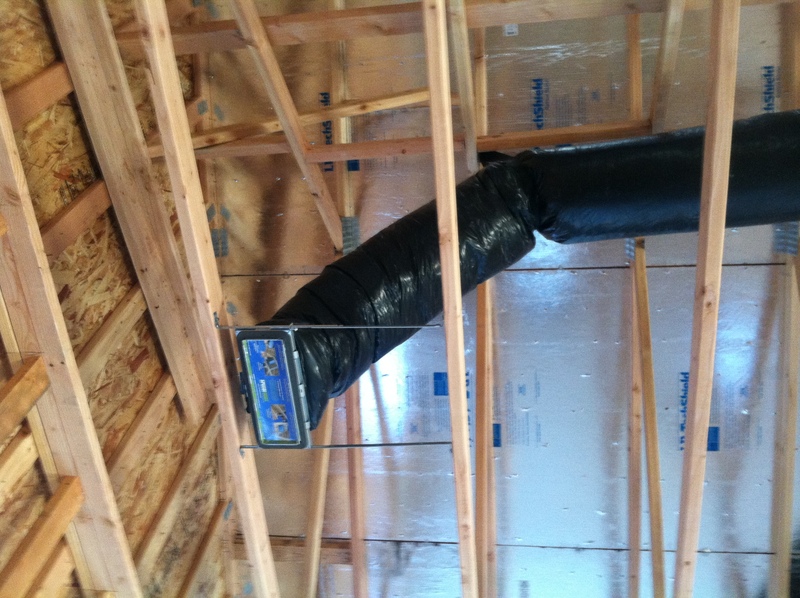 Then the ducting is run throughout the house.